Chest pain accompanied by shortness of breath, nausea, and lightheadedness, and that radiates into your arms or back, may indicate a heart attack and deserves immediate medical attention. 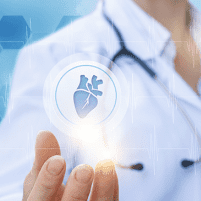 If you have milder chest pain that’s intermittent, but regular, it still warrants a trip to one of the three locations of Healing Hearts Clinic, located in Conroe, The Woodlands, and Huntsville, Texas. The team of expert cardiovascular physicians can analyze your chest pain and help you find relief. Call Healing Hearts Clinic or book an appointment online if you suffer from even mild, chronic chest pain. When is chest pain a sign of a heart attack? Heart attack symptoms vary from person to person. But, if you have chest pain that doesn’t resolve when you change position, take antacids, or breathe deeply, it’s best to call 911 or visit an emergency room just in case. You usually experience heart attack chest pain for five minutes or longer. If you have intermittent discomfort, but it feels severe, make an appointment at Healing Hearts Clinic. Always err on the side of caution when it comes to chest pain. What are other potential cardiac causes of chest pain? With angina, expect to feel pressure, fullness, or tightness in your chest. The pain is similar to that of a heart attack and may be brought on by stress, heavy meals, exercise, or cold air. Angina pain usually lasts shorter than heart attack pain, however. If you have an inflammation of the layers of tissue around the heart, you’re diagnosed with pericarditis. Chest pain presents as sharp and stabbing and may radiate to your back, arms, or neck. In addition to chest pain, you feel extreme fatigue. Chest pain presents similarly to coronary artery disease and results from having to pump blood through a narrowed aortic valve. The pain is aggravated by exertion, but resolves with rest. You experience sharp, stabbing pain and premature beating. Some people also have a slight, brief choking sensation. You feel as if you have a tearing in the front or back of your chest. Pain may radiate into your belly, legs, or arms. How is chest pain evaluated? These tests help reveal the reason for your chest pain. The doctors at Healing Hearts Clinic treat your chest pain according to the cause. You may need certain medications or surgery. If you have chest pain that’s causing you concern, call Healing Hearts Clinic today or book an appointment online.